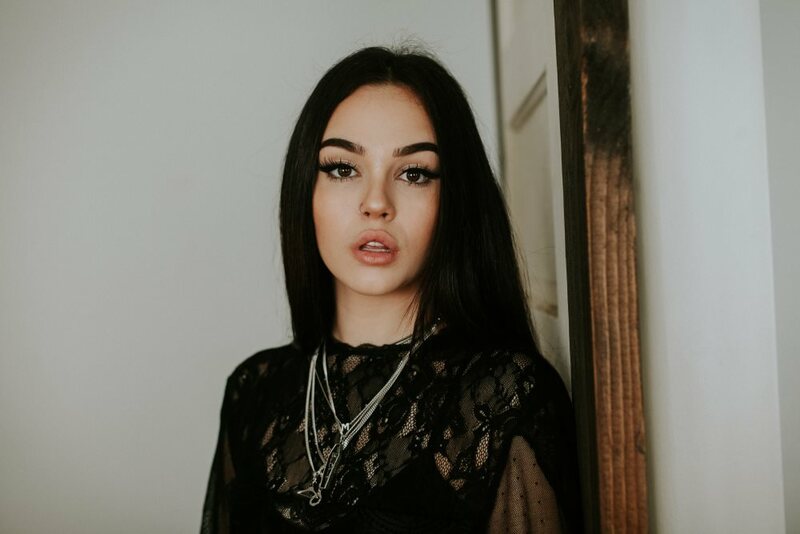 Candid Gen Z pop artist, Maggie Lindemann, isn’t afraid to speak her mind. Her latest track ‘Would I’ traces deeply personal experiences with mental illness, a revealing and honest depiction that illustrates her whole approach to music. Opening with Maggie’s plaintive vocals set to acoustic guitar, ‘Would I’ layers ethereal harmonies and atmospheric bass beats with lyrics that explore the inner struggle of depression. “It’s about not feeling good enough, not feeling like you deserve love or happiness, struggling with how to find yourself and trying to find happiness in substances,” says Maggie. As she releases ‘I Would’ - along with stunning visuals you can check out below - Clash tracked Maggie down to find out the Influences that have made her the artist she is today. This was me and my Mom’s favourite song when I was growing up. I absolutely loved to scream it in the car with her whenever it came on. I felt really empowered and almost grown up, singing it as a kid. It greatly influenced my song ‘Pretty Girl’ in the thought/writing process. How the world thinks you should be a certain way but you’ve had enough. This song is still my favourite song ever. I love the original equally as much but I think the stripped down version influenced me a by more. The guitar they use feels really powerful to me, the words are beautiful, the melodies. I think this song inspired me in a happy loving way. When I wanna write about being in love or wanting to love someone, I think about this song. I’m from Texas so naturally we listened to a lot of country music. This song always stuck with me because of the feeling it gave me. I loved Carrie Underwood’s life story and she always really inspired me in music and with her journey. I think just the hurt feeling she portrayed but then the powerful feeling after really influenced me on how I want to be in songs. I want to always have that powerful feeling somewhere. This is another one that I listened to a lot growing up because of my mom. The lyrics are just so beautiful and then the production on top of it is amazing. I absolutely LOVE rock music. I love the anger and the pain and the excitement of it all. I listened to all types of music growing up but rock really influences me. The passion in it drives me and the instruments are just too cool to not love. I definitely wanna incorporate that into my music. I think it was maybe 2005 when my family gave me the ‘Stripped’ CD. I was so excited I listened to it all the time on my little radio. I was so strongly moved by Christina and her voice was so captivating to me. This song especially really spoke to me. From a really young age I’ve always had a lot of struggles and Christina really spoke to me with her music. I think this was the first song to really get me before I started to discover any other music. The power in her voice really spoke to me and I still listen to her to get me in a certain headspace when writing or even just getting ready for my day.